Sessions informatives: data: dimarts 29 de gener de 2019 - hora: a les 17h i a les 19h (2 sessions informatives) - lloc: EADA business school. Adreça: carrer Aragó, nº204. 08011 Barcelona. (Al carrer Aragó, entre els carrers Muntaner i Aribau). 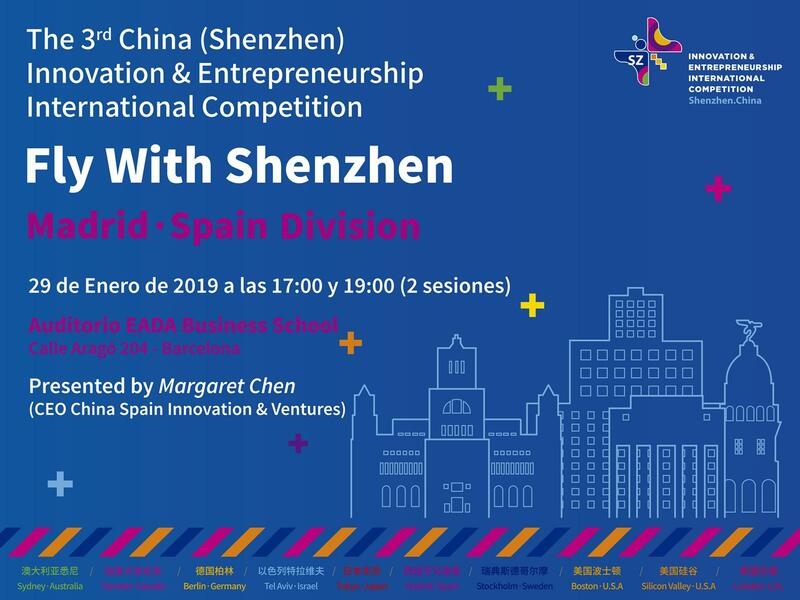 China Spain Innovation & Ventures is pleased to announce the launch of the 3rd China (Shenzhen) Innovation & Entrepreneurship International Competition in Spain. 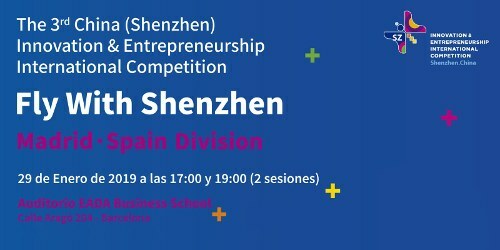 China (Shenzhen) Innovation & Entrepreneurship International Competition aims to integrate innovation and entrepreneurship resources and help foreign innovation and entrepreneurship projects to connect with Chinese hi-tech industrial resources and expand the Chinese market for mutual benefits and win-win results. This competition is open to all foreign innovation and entrepreneurship projects with no restrictions on competitors' nationality. These selected Startups will also be invited to a city tour, visiting top companies to understand the environment of Shenzhen and its innovative atmosphere. For more details, contact spain.shenzhen3@gmail.com at anytime.